Vlada Provotorova runs a registered US charity called Sochi Dogs, which helps find homes for strays from the Russian city. For a brief moment before the 2014 Olympics, the dogs of Sochi captured the hearts of the world. Animal lovers were shocked to learn that officials in the southern Russian city, looking to clean up streets overrun by stray dogs, had hired a pest-control company to kill the animals by the hundreds. Alisa, a German shepherd golden labrador mix, will soon be adopted by Pam Lipman, of Sharon, from Sochi Dogs. 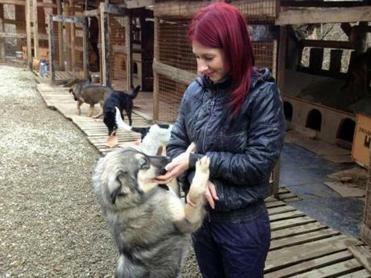 Amid the international outrage, a Sochi dentist named Vlada Provotorova made headlines by setting out to save as many of the animals as she could, picking up dogs off the street and taking them to her makeshift shelter on the outskirts of Sochi. The Olympic spotlight has since faded, and the world media has moved on. But as the two-year anniversary of the Games passes this month, Provotorova is still taking dogs off the streets. In the wake of the publicity, she was able to set up an international adoption pipeline, and today she is sending Sochi’s dogs to new homes in America and beyond. 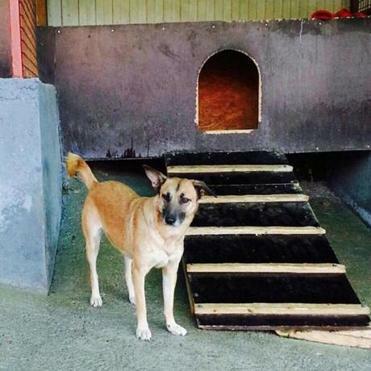 When the Olympics ended, Sochi’s attempt to purge the strays did not. “There are still lots of homeless dogs in the city, and there is a private company hired by city officials that kills dogs on the streets,” Provotorova said in Russian by phone from Sochi last week. The city has hired a pest-control company to kill homeless animals, all in an effort to clean up the streets in advance of the Olympics. 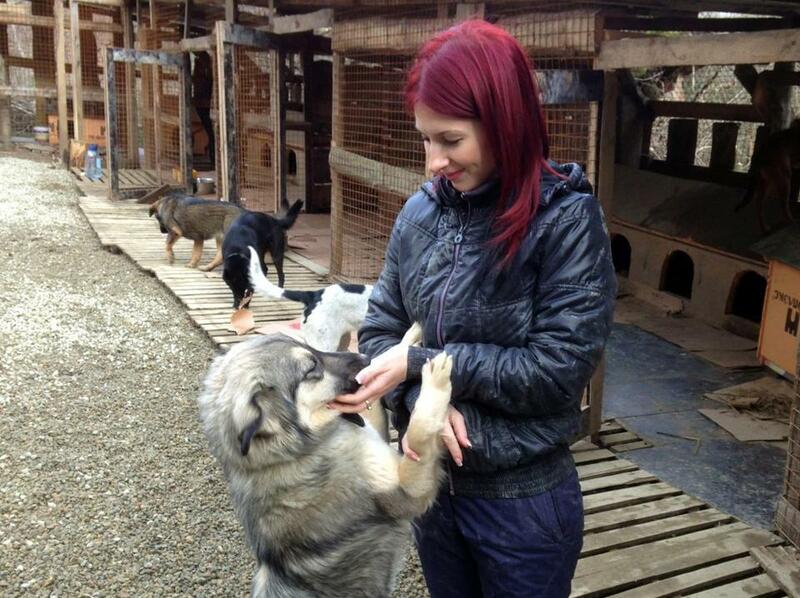 What has changed is that her efforts have given rise to a registered US charity, Sochi Dogs, which since 2014 has found homes outside of Russia for 91 dogs. Fifty-two have landed in the US, 36 in Canada, and one each in Poland, Scotland, and Germany. Anna Umansky, who helps run the organization in the United States, expects to place between four and six more dogs with US owners by mid-March. One of those prospective owners is Pam Lipman, who runs a pet-sitting business in Sharon and was considering getting a dog after the death last year of her Cavalier King Charles spaniel. She happened across an article about Sochi Dogs, and among the organization’s gallery of rescued dogs, she spotted the one who would become her new pet. Alisa, a two-year-old German shepherd/golden labrador mix, will arrive in March. “Sometimes a dog, and their situation, just speaks to you,” Lipman said. Part of the reason Sochi’s stray problem persists is its sub-tropical climate, in which homeless dogs can easily survive outdoors. The larger problem, Provotorova said, is that Russian pet owners generally do not spay or neuter their dogs. Often, they discard unwanted puppies. 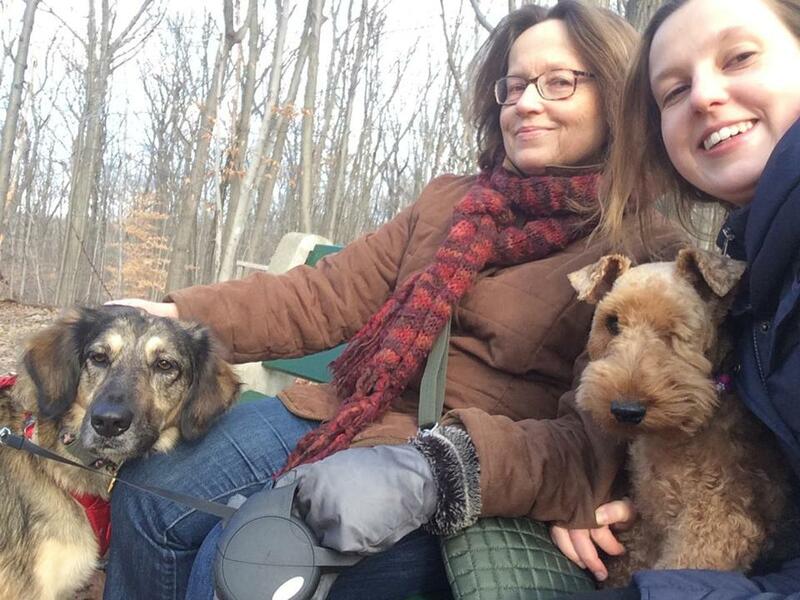 Tanya Umansk (left), and Anna Umansky with their dogs Molly and Taffy. Provotorova was aided in setting up her charity by Anna Umansky and her mother, Tatyana, who emigrated from Russia in 1993 and live in New Jersey. The cause was also aided by several Olympic athletes who adopted Sochi dogs, and helped bring attention to their plight. Kelli Stack, a forward on the US women’s hockey team, which won a silver medal in Sochi, said she was struck by the sheer number of stray dogs she encountered in the streets, as well as the callous way local officials were treating them. She found Provotorova’s name in an article about her makeshift shelters, and ended up adopting Shayba, a German shepherd mix whose name in Russian means “hockey puck.” Stack shortened it to Shay. “It feels good to save a life, and I must admit having a dog from Russia is pretty cool,” Stack said. Of course, there are other cities around the world with an overabundance of homeless dogs. What make animal lovers sympathize with Sochi dogs is the way officials are handling the problem, said Rebecca Klenk, training specialist at PetRelocation.com, an Austin-based company that specializes in moving pets across international borders. And because of the Olympics, that story reached an unusually large audience. David Filipov can be reached at David.Filipov@globe.com. Follow him on Twitter @davidfilipov.